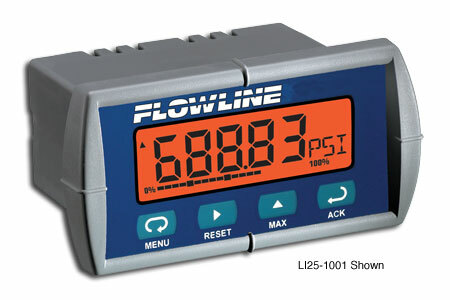 Offered in intrinsically safe and general purpose configurations, the loop powered panel meter displays engineering units connected in series with one 4-20 mA transmitter. Select the LI25-2001 meter for hazardous applications with an intrinsically safe level transmitter. Select the LI25-1001 meter for general purpose applications. For field mount installations, order the single or two meter NEMA box.